Foiling doesn’t have to be all about glamour. 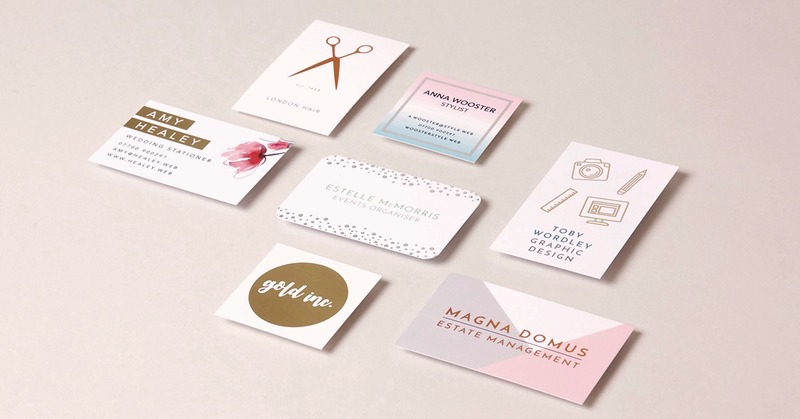 In fact, the simple addition of a metallic accent can really elevate your Business Stationery, without being overpowering. Plus, adding gold or silver will help establish credibility and bring that luxury high-end feel. Whether it’s a Christmas Card, an annual roundup or even a corporate gift, adding Foiling to your Greeting Cards adds an extra final touch that your clients and customers will love. Why not highlight your messaging like below, or go for something even more subtle as use coloured Foil to draw attention to specific areas in a design? You could highlight just your brand logo, for example, or even pull out areas of artwork like a candle flame or parts of a plant or flower. If your Business uses Appointment Cards, why not design yours using our Foiled Business Cards and add an extra dimension? Highlight your branding or loyalty message at the front, or use Foiling to accentuate loyalty rewards at the back. Hosting a corporate Business Event? 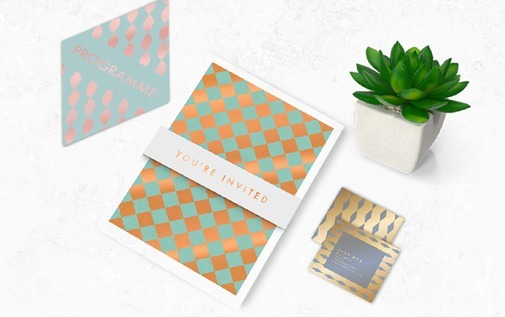 Bring the prestige and set the tone for a sophisticated evening by adding metallic foil to your invitations. Just a touch is enough to bring an air of luxury and prestige – ideal for when you want to get the excitement building. 5. 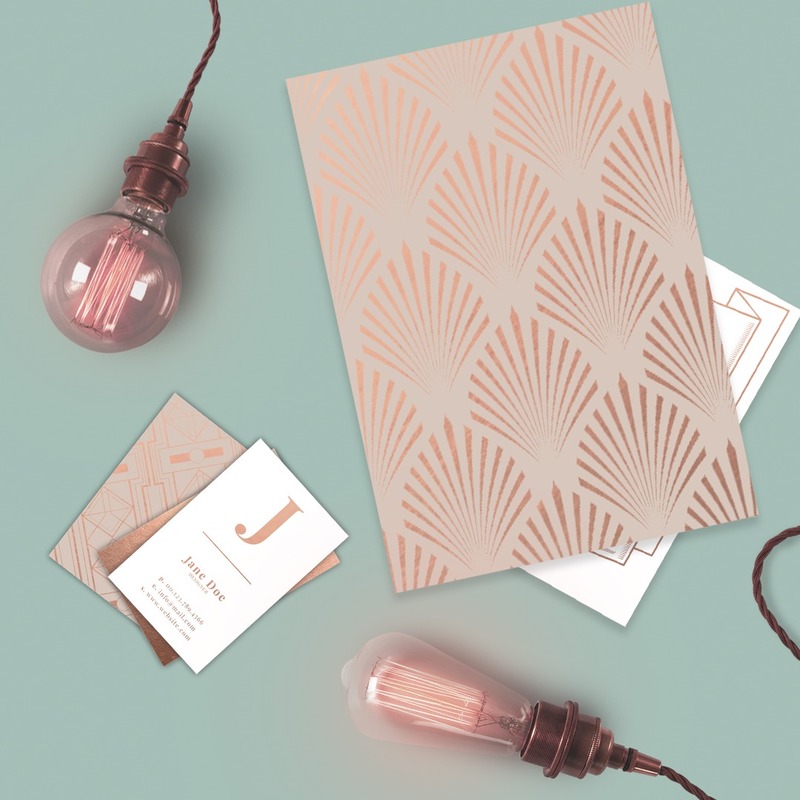 Discover our new Foiled Postcards range! Foiled Postcards are the easy way to create, well, anything at all! 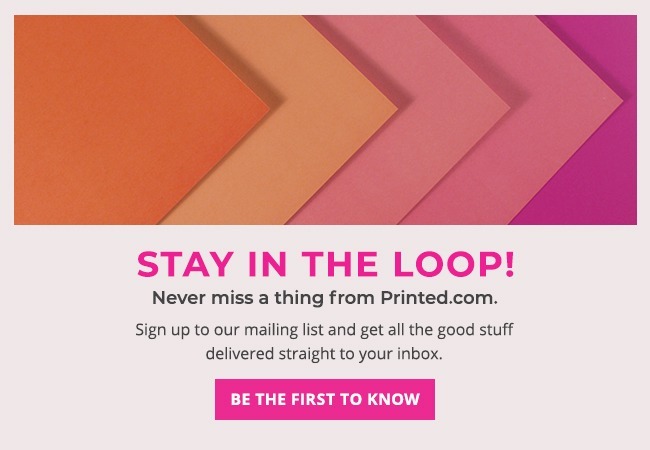 From announcements, to special promos, Invites and Event handouts, they make the perfect choice for your Business! It’s really easy to get your artwork print ready. It only takes three steps! No, really. With our free video tutorial and handy quick reference guide we’ll walk you through everything so you can start making an impact in no time! New to it all? Don’t worry, if you need a hand just give our friendly Customer Service Team a call on 0800 840 1430, or chat with them live on site. They’re here every weekday between 8.30am and 6pm. They’ll be happy to help you get your shine on! Want more? Get inspired with our top tips on New ways to shine with Foiling! Some great ideas here – would love to test it out on some of our greetings cards! Still haven’t tried this yet, waiting for the perfect product! Great post! i love foiling so can’t wait to have go! Great ideas. Can’t wait to see my foiled orders! Great ideas! Can’t wait to see my foiled products! Cant wait to find an occasion to try foiling! Tried to persuade my friends into trying it for their invites ! Does it come in the sample packs?